Purnima dates and time in 2019 based on Hindu calendar and Indian Standard Time. Purnima Vrat 2019 dates along with time can be found below. 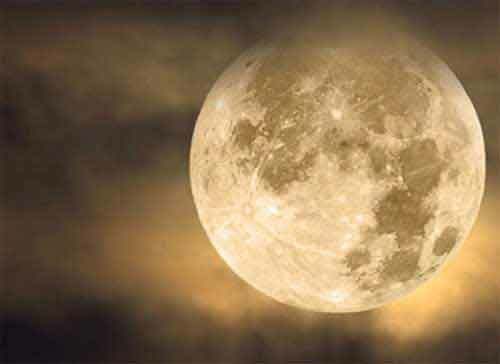 Purnima, or Poornima, is the full moon day in traditional Hindu calendar. The day is considered highly auspicious by Hindus and some communities fast or keep Vrat (Purnima fasting) from sunrise to sunset on the day. (Please note that in some regions Purnima might start a day early and overlap into the next day). Poornima is known as Pournami in South India. May 18, 2019, Saturday. Vaishakh Purnima - Buddha Purnima. September 14, 2019, Saturday – Bhadrapad Purnima. Time is from 7:35 AM on September 13 to 10:02 AM on September 14. Purnima fasting is on September 13. Time is from 12:05 AM on October 13 to 1:58 AM on October 14. Fasting is on October 13. Time is from 5:54 PM on November 11 to 7:02 PM on November 12. Fasting is on November 11. Dev Diwali – Tripurari Purnima - Tulsi Vivah ends. Fasting is on December 11. January 10, 2020, Thursday. Paush Purnima. Time is from 2:34 AM on January 10 to 12:51 AM on January 11. Vrat or Fasting is on January 10. February 9, 2020, Sunday. Magh Poornima. Time is from 4:02 PM on Feb 8 to 1:03 PM on February 9. Vrat or Fasting is on February 8. Time is from 3:04 AM on March 9 to 11:18 PM on March 9. Time is from 12:02 PM on April 7 to 8:05 AM on April 8. Purnima Fasting is on April 7.